We’ve been teaching and holding different kind of seminars, lectures and workshops for many years now. Apart from working as permanent guest lecturers in Diagonalakademin and in Eksjö we have had the pleasure of visiting different kind of schools in both Sweden and abroad, as STDH (fomer DI), Stockholm University (DSV), BUFF in Malmö, Dalian University in China or in the Int’ Animated Film Festival Banjaluka. Our main subjects are Cut-out animation, Character design, Production of animation and Development of script. A more complete list of what we’ve been doing and what we can do in the future will be found here later. For now, here is a short film, made in Cyprus 2007 together with children from both the Greek and the Turkish part of the island. 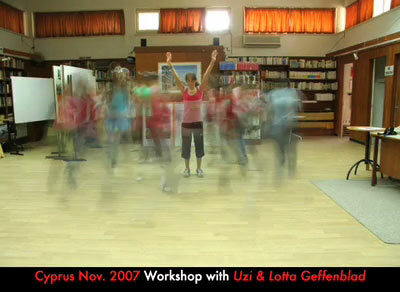 The workshop was done in one day and was organized by the Children’s film festival in Cyprus. The theme of the workshop was “live a healthy life” and since there was a language barrier it was easiest to work physically and in a group.